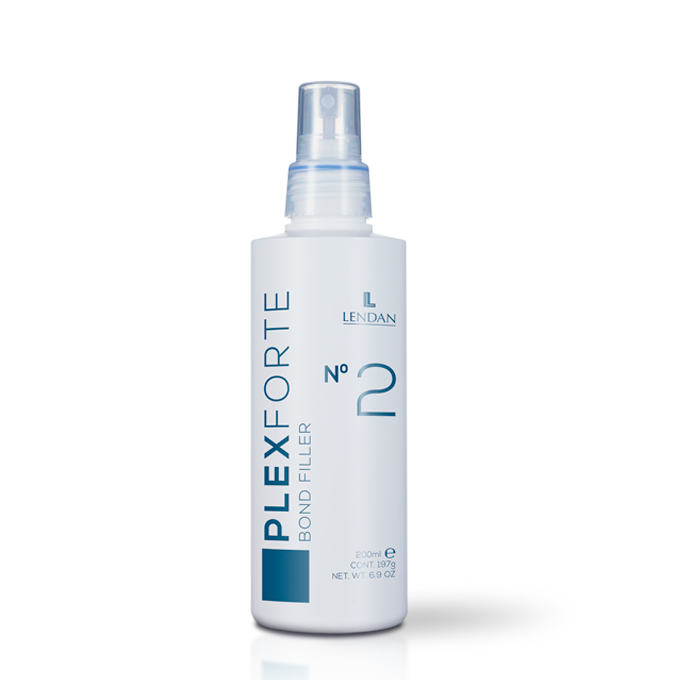 Bond Filler is a concentrated treatment which stabilizes bonds after treatment with Plex Forte Nº1 (Bond Booster). It not only increases strength but also nourishes with essential amino acids and seals the structure to guaranty longer-lasting results for the applied technical treatment. Use Bond Filler at home to create new bonds between proteins to strengthen and protect the hair’s internal structure (or cortex), and so guaranty longer-lasting technical processing results. Repairs and nourishes damaged hair fibers deep down, rejuvenating their appearance from the very first application. Apply the required quantity to damp hair. Spread evenly all over then dry as usual. Leave-in.